Alida says,”I needed comfort food. And since I also didn’t feel like spending hours in the kitchen, I knew I wanted to use a few packets of ready-made gnocchi. This isn’t something I use a lot because I really love making fresh gnocchi but it definitely is a life-saver when you’re pressed for time. 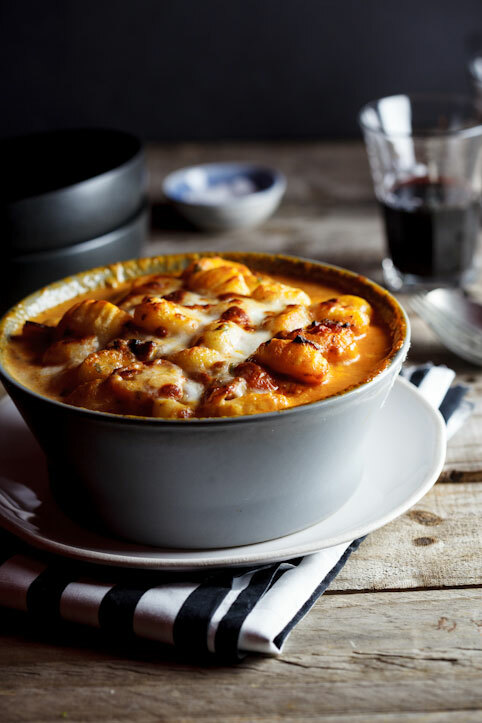 I also think it works really well in a baked gnocchi dish because it’s quite a lot firmer than home-made gnocchi so the shape is retained while, I think, home-made gnocchi will just get mushy.